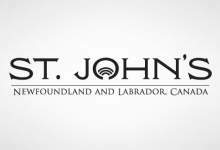 Today, St. John’s City Council voted to approve the capital budget for 2019. The plan includes approximately $24 million for capital projects. Capital projects cover a wide range of services including transportation improvements, water and sanitary service upgrades, housing projects, capital grants to community groups, snow clearing equipment, and playground infrastructure. With previously committed items aside, a net of $12.4 million has been identified in available funding for 2019 projects. Public engagement on the proposed capital plan took place online from February 12-26, 2019. Opinions and ideas shared through that process have been posted as a “What We Heard” document at engagestjohns.ca. A full list of approved capital projects for 2019 is attached. The City’s capital program is determined on an annual basis and funded primarily from an allocation from the City’s annual operating budget. This program is different from the City’s larger cost-shared capital arrangements with the Federal and Provincial Governments, for which the City borrows its share of the cost.